The organisation behind the open source mapping platform that shares its name. Ushahidi has become one of the most potent global sources of social innovations using digital technology. 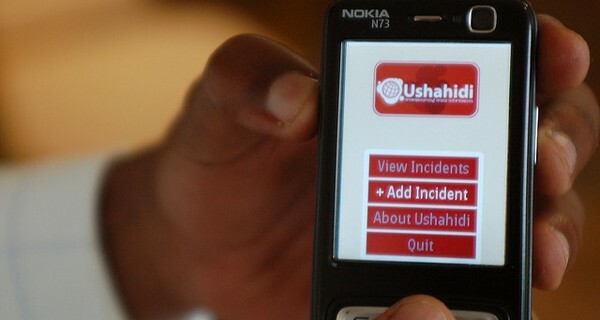 A string of inspiring digital social innovations have come out of the Ushahidi hot house. “Ushahidi” means “testimony” in Swahili. For many, however, the word principally refers to a non-profit tech company specialising in open source software, and the eponymous crowdmapping platform which founded its reputation (see Crisis Mapping) The organisation grew out of efforts to map reports of violence in Kenya after the post-election fallout at the beginning of 2008. By aggregating texts, tweets, photos and descriptions from mobile phones, smartphones and desktops, Ushahidi created crowdsourced maps that made incidents of violence, election fraud and abuse plainly visible on a broad scale. The website had 45,000 users in Kenya. Since then, Ushahidi has developed a full-featured, open source mapping platform which, along with Crowdmap, their Software as a Service (SaaS) version of the system, has been used in crises across the world supporting 35,000 maps in 30 different languages. For example, following the earthquake in Haiti in 2010 and the tsumani in Japan in 2011, the Ushahidi platform was used to organise emergency responses in real time. In less than an hour after the 2011 terrorist attacks in Mumbai, the Ushahidi platform was used to spotlight areas of refuge. And most recently, Ushahidi has provided the platform for crowdmapping violence in Syria’s civil war. On the back of such success, the organisation is demonstrating a determination to continue innovating: their latest venture, BRCK, is an eloquent response to the challenges of using network technologies in infrastructure-poor environments. Dubbed “your back-up generator for the internet”, BRCK is a router with an eight-hour battery life, physically robust enough to withstand outdoor use, which can automatically switch between different connection sources. As well as the multifarious benefits of enabling more people to connect more reliably to the web, the BRCK team is building a cloud-based software back-end which opens up another world of possibilities. BRCKs are also designed to be used as data harvesters, connectable to a wide variety of sensors as part of the emerging “internet of things”. This presents the potential for increasing our understanding of, and ability to respond to, a vast range of social, economic and environmental issues in areas currently too remote to be easily monitored.